Over the course of her studies, Abigail has experimented with a variety of different techniques to create interesting surface design concepts for the projects she has worked on. 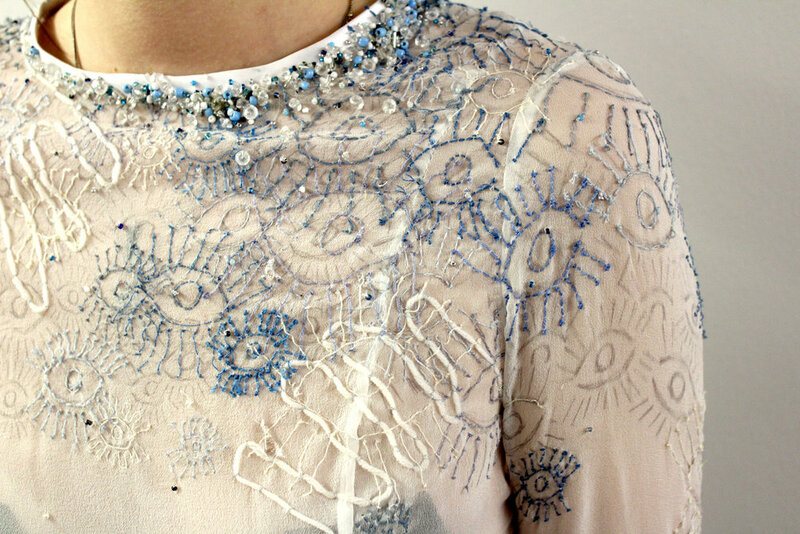 She became more and more inspired by embroidery design and the versatility it offers when creating colour and texture. Abigail has worked to refine her skills and is working on building a strong embroidery portfolio for fashion and costume design.